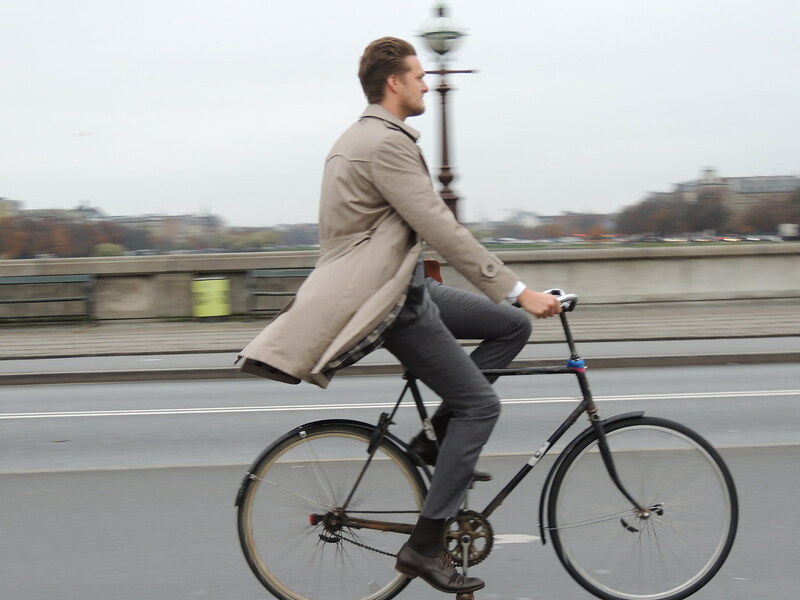 OH yes, hello there… stylish man bicycling across Copenhagen Hipster Bridge! Just look at him. Upright. Determined. Probably on his way to work (it’s Thursday morning). And heyy, check out his style: It’s all in the details. Starting deep low from the bicycle lane, I just love his shoes. Maybe he’s not wearing hot purple shoelaces, but the medium brown ones are classic and matching his cognac colored shoes perfectly. His pants. Slim style. Love it! The jacket. I mean… the lining, checkered and yep, classic. Enjoy bicycling, enjoy Copenhagen – enjoy Life!